Swift counsellors offer a variety of approaches and styles. The client can choose the approach that suits them best. •	Integrative approach – this way of working has at its heart person-centred core conditions of acceptance and empathic understanding. This approach develops a strong relationship with the client and then draws on insights from CBT (Cognitive Behavioural Therapy), developmental psychology and creative techniques such as art and sandplay to explore situations, relationships and difficulties in order to support the client in their journey towards solutions and constructive ways forward. 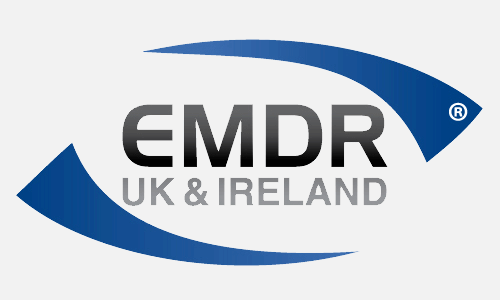 •	EMDR (Eye Movement Desensitisation and Reprocessing) – this is a relatively new therapy for freeing the mind, clearing the body and opening the heart. Relatively few sessions are often enough to clear out the consequences of old sufferings, whether from accident related trauma, bullying, abuse of all kinds, broken relationships, phobias and much more. •	Systemic approach – this way of working looks at people in relation to each other. The counselling work explores not only how people communicate together, but what they communicate, aiming to identify and explore the patterns of beliefs and behaviours in roles and relationships that seem to have become set over time. This kind of counselling can be done with whole families, parts of families or extended families as well as with couples and individuals. The aim is to enable the client to develop new and more useful ways of relating. Swift adheres to the highest standards of ethical practice and confidentiality as laid down by the British Association of Counsellors and Psychotherapists (BACP) and the National Counselling Society (NCS). Unless otherwise negotiated with the client, confidentiality remains within swift, which includes your counsellor’s supervisor. The criteria for considering the breaking of confidentiality are if your counsellor considers you or someone else to be ‘at risk’. We are legally required to report if you are benefiting from the proceeds of crime or benefit fraud etc, or any involvement with or knowledge of terrorism. In such situations counsellors may be required to take some form of action. In the event of this happening, your counsellor will make every attempt to encourage you to participate in any disclosure and will support you through this process. Counsellors are free to stop therapy, either because they judge it is not in a client’s best interests to continue, or because information, mainly of an ethical or legal nature, emerges that indicates it is not possible for the therapy to continue. regular supervision of cases should be undertaken. swift therapists receive regular supervision from qualified supervisors. At one of these sessions, your counsellor might discuss how the work is going that you and they are doing together in order to ensure high therapeutic standards are maintained. Case records are property of swift, and are stored securely at your counsellor’s office. The information within them is held in the strictest confidence allowed under the law (please see www.swift-counselling.co.uk for our policies that comply with GDPR 2018). These policies outline what kind or information we hold, how we hold it, how long it is retained and how it is destroyed. There is also information about your right to have your information erased and/or to view notes held about you. Appointments will usually last up to an hour, with the time and period between sessions negotiated between you and your counsellor. In some cases longer sessions may be arranged if you prefer. The fee will be £ per hour. Participation in counselling is voluntary. However, once an agreement is made with your counsellor, we ask that you make every effort to attend the session(s) agreed. If you are unable to attend, you must inform your counsellor as soon as possible, and at least 24 hours before the appointment. Failure to do so will mean that you are liable for the full fee. have read and understood this form, and agree to abide by the terms and conditions outlined in it. I understand the ways in which my personal data is stored and used and I give permission for my counselor to make contact with the appropriate external agencies if he/she believes I am a danger to myself or to others.